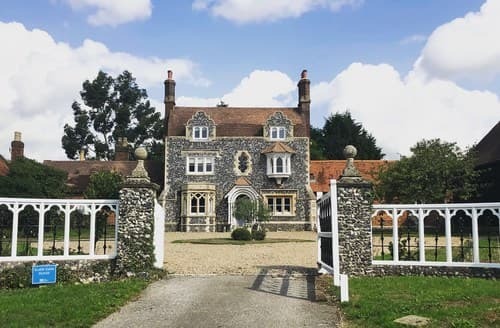 What our customers are saying about our Holiday Cottages With Open Fires In Hertfordshire To Rent. 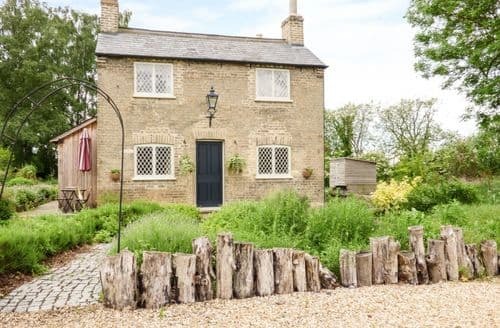 "The owners of the cottage are to be congratulated on a sensitive and sympathetic renovation to what I presume were two back to back cottages. 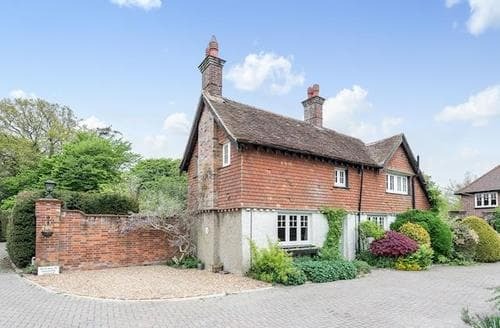 In the grounds of a large Georgian Mansion, the cottage is detached, so no noisy neighbours. More importantly, it is not on a road. My pet hate. There is a nearby railway line but it was not intrusive. Olde World meets New in this well proportioned property. The two bedrooms are spacious and provide more than enough storage for guest clothes and cases. A first for us was the more than adaquate supply of coathangers. Owners - PLEASE - do not remove the coathangers. There was also a good supply of extra blankets should they be required. The living quarters comprise of two large ground floor rooms. The kitchen is marvellous. There is a big modern rectangular table with two benches. We didn't use as there is a smaller table (for 4) in the lounge/diner which we preferred. The kitchen facilities are excellent. The underfloor heating was appreciated. The living room come dining room was very cosy. Especially when the log burner was on (could the owners provide a poker and fire set please). The TV is concealed in the left hand unit. A remote control raises and lowers it. We kept it in up position whilst there as we were concerned it might get stuck. I'm sure it would have been alright. It is also 'neck friendly'. At a comfortable level. Not up a height which appears to be the way these days. The TV is freeview so there is a good choice of viewing. Of course, it can also be used as a radio. Classic FM and Smooth radio are very cottage friendly! There is only one point I feel possible guests should be aware of. The stairs are quite steep and care is required. Those with mobility issues should possibly look elsewhere. The cottage is very well located to explore a large area. We visited Bletchley Park, Cambridge and London. The train station is located in Biggleswade. We walked there from the cottage in a comfortable 20 minute walk. There are car parking facilities at the station. Only £3.70 for off peak hours. We paid £27.70 for off peak train tickets to London on a week day. This included tube and bus travel 1-6. Excellent value. About £20 without this. Cheaper fares are available on Saturdays and Sundays...About £13.70 for off peak without tube and bus travel, £19.70 with. Take time to have a walk around the shopping area in Biggleswade. Many pubs and eateries as well as your everyday shops and at least 3 charity shops. There is an Aldi very near to the train station. Enjoy !" "In the grounds of a large Georgian Mansion, the cottage is detached, so no noisy neighbours. More importantly, it is not on a road. My pet hate. There is a nearby railway line but it was not intrusive. Olde World meets New in this well proportioned property. The two bedrooms are spacious and provide more than enough storage for guest clothes and cases. A first for us was the more than adaquate supply of coathangers. Owners - PLEASE - do not remove the coathangers. There was also a good supply of extra blankets should they be required. The living quarters comprise of two large ground floor rooms. The kitchen is marvellous. There is a big modern rectangular table with two benches. We didn't use as there is a smaller table (for 4) in the lounge/diner which we preferred. The kitchen facilities are excellent. The underfloor heating was appreciated. The living room come dining room was very cosy. Especially when the log burner was on (could the owners provide a poker and fire set please). The TV is concealed in the left hand unit. A remote control raises and lowers it. We kept it in up position whilst there as we were concerned it might get stuck. I'm sure it would have been alright. It is also 'neck friendly'. At a comfortable level. Not up a height which appears to be the way these days. The TV is freeview so there is a good choice of viewing. Of course, it can also be used as a radio. Classic FM and Smooth radio are very cottage friendly! There is only one point I feel possible guests should be aware of. The stairs are quite steep and care is required. Those with mobility issues should possibly look elsewhere. The cottage is very well located to explore a large area. We visited Bletchley Park, Cambridge and London. The train station is located in Biggleswade. We walked there from the cottage in a comfortable 20 minute walk. There are car parking facilities at the station. Only £3.70 for off peak hours. We paid £27.70 for off peak train tickets to London on a week day. This included tube and bus travel 1-6. Excellent value. About £20 without this. Cheaper fares are available on Saturdays and Sundays...About £13.70 for off peak without tube and bus travel, £19.70 with. Take time to have a walk around the shopping area in Biggleswade. Many pubs and eateries as well as your everyday shops and at least 3 charity shops. There is an Aldi very near to the train station. Enjoy !" 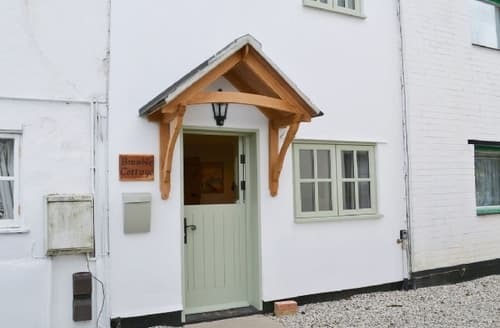 "Despite the age of the cottage it's lovely and warm and the owners are very helpful with any little queries we had. We will definitely be back to stay again.We were then shown to the cottage and instructed on how to use the facilities. While inside the cottage we could clearly hear and feel vibrations from trains passing on the main line adjacent to the property. Although this is mentioned in the description we both felt the issue is more significant and deserves mention in this review. Otherwise it’s a nice cottage in a good location.We loved staying in this beautiful cottage. The hosts were very welcoming and the cottage had everything we needed. Would highly recommend anyone to stay here. Set in lovely grounds and my daughter loved the pet chicken Mary.The underfloor heating was really appreciated as the weather was so cold. A very peaceful situation in the grounds of the main house and, for a train fan, the east coast main line railway was a bonus! Yes you could hear the trains but they were not intrusive at all. The owner, Mr Bond, was welcoming and very helpful.Wonderfully situated. Lovely surroundings. Really nice and helpful owner. Inside is everything you need. And more. Distance to Cambridge and London by car or train easy and short. Peace and quietness when you come home from a daytrip.We stayed in this cottage with our 7 year old son. 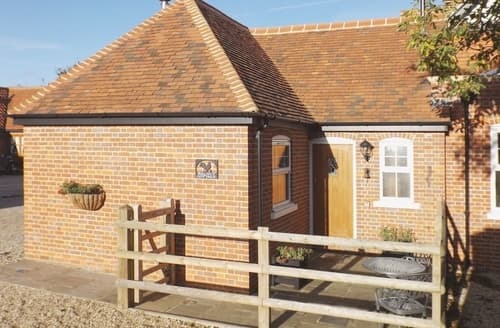 The cottage is located on the property of Shortmead House and there are a lot of green spaces with lots of animals (chicken, cats, donkey, horse, ...) around. Inside the cottage you will find a modern kitchen, a living room and 2 good-sized bedrooms. WiFi connection as well as a TV with DVD player were also provided and much appreciated. The owners, Marilyn and Ian were very friendly and kind and as such we really enjoyed our stay. Only two minutes away from supermarkets and road connections to London (45 minutes) and Cambridge (30 minutes). We would definitely stay here again. The main house is used also as a venue for weddings, and during our stay, there was such an event. However, we did not get disturbed at all." 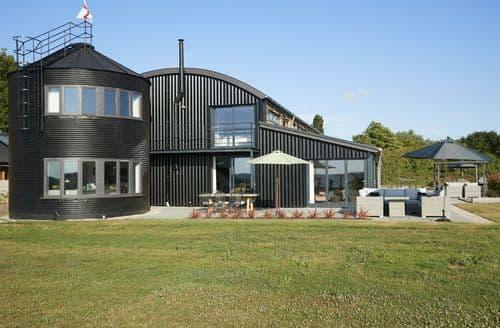 "We were then shown to the cottage and instructed on how to use the facilities. While inside the cottage we could clearly hear and feel vibrations from trains passing on the main line adjacent to the property. Although this is mentioned in the description we both felt the issue is more significant and deserves mention in this review. Otherwise it’s a nice cottage in a good location.We loved staying in this beautiful cottage. The hosts were very welcoming and the cottage had everything we needed. Would highly recommend anyone to stay here. Set in lovely grounds and my daughter loved the pet chicken Mary.The underfloor heating was really appreciated as the weather was so cold. A very peaceful situation in the grounds of the main house and, for a train fan, the east coast main line railway was a bonus! Yes you could hear the trains but they were not intrusive at all. The owner, Mr Bond, was welcoming and very helpful.Wonderfully situated. Lovely surroundings. Really nice and helpful owner. Inside is everything you need. And more. Distance to Cambridge and London by car or train easy and short. Peace and quietness when you come home from a daytrip.We stayed in this cottage with our 7 year old son. 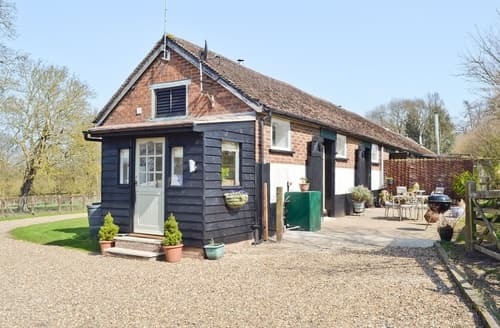 The cottage is located on the property of Shortmead House and there are a lot of green spaces with lots of animals (chicken, cats, donkey, horse, ...) around. 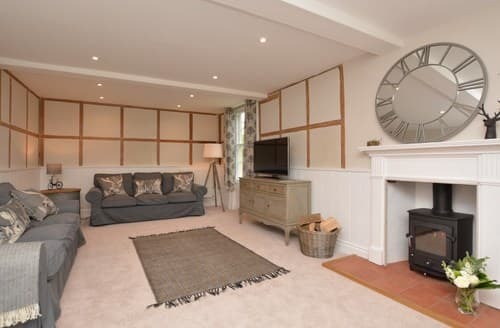 Inside the cottage you will find a modern kitchen, a living room and 2 good-sized bedrooms. WiFi connection as well as a TV with DVD player were also provided and much appreciated. The owners, Marilyn and Ian were very friendly and kind and as such we really enjoyed our stay. Only two minutes away from supermarkets and road connections to London (45 minutes) and Cambridge (30 minutes). We would definitely stay here again. The main house is used also as a venue for weddings, and during our stay, there was such an event. However, we did not get disturbed at all." 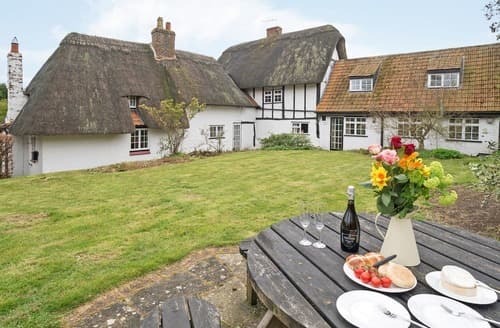 "We loved staying in this beautiful cottage. The hosts were very welcoming and the cottage had everything we needed. Would highly recommend anyone to stay here. Set in lovely grounds and my daughter loved the pet chicken Mary.The underfloor heating was really appreciated as the weather was so cold. A very peaceful situation in the grounds of the main house and, for a train fan, the east coast main line railway was a bonus! Yes you could hear the trains but they were not intrusive at all. The owner, Mr Bond, was welcoming and very helpful.Wonderfully situated. Lovely surroundings. Really nice and helpful owner. Inside is everything you need. And more. Distance to Cambridge and London by car or train easy and short. Peace and quietness when you come home from a daytrip.We stayed in this cottage with our 7 year old son. 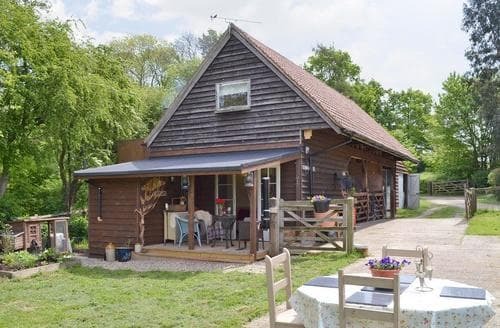 The cottage is located on the property of Shortmead House and there are a lot of green spaces with lots of animals (chicken, cats, donkey, horse, ...) around. Inside the cottage you will find a modern kitchen, a living room and 2 good-sized bedrooms. WiFi connection as well as a TV with DVD player were also provided and much appreciated. The owners, Marilyn and Ian were very friendly and kind and as such we really enjoyed our stay. Only two minutes away from supermarkets and road connections to London (45 minutes) and Cambridge (30 minutes). We would definitely stay here again. The main house is used also as a venue for weddings, and during our stay, there was such an event. However, we did not get disturbed at all."